WHEN: Wednesday, November 29th, 2017, 12:00 - 1:30 p.m. The operations we use to evaluate, rank, and select individuals in a field often yield clear-cut quality sortings when in truth quality and merit are multi-dimensional, equivocal, and hard to adjudicate. These operations create order and hierarchy out of ambiguousness, fuzziness, and potential equality. Using experimental vignette designs, I examine how this order-making shapes our willingness to accept inequality in the rewards received by the winners and losers of ranking and selection processes. In particular, I test whether inequality is more acceptable when the multidimensionality of merit is bracketed, or when multiple evaluative devices in a field are in agreement, suggesting the existence of a reliable merit order. 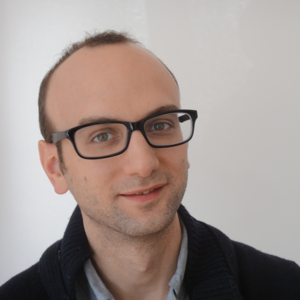 Fabien Accominotti is an assistant professor of sociology at LSE, visiting Incite in 2017-2018. His research focuses on social status and status-based inequality: why people and groups are perceived as more or less valuable, and how this affects their outcomes. He has studied the formation of value beliefs in the art world and the emergence of cultural capital as a status marker in the Gilded Age. His current project uses experimental designs to test how, in organizational settings, various selection procedures shape the willingness of observers to accept inequality in the rewards received by the winners and losers of selection processes. Accominotti’s first book, on consecration and creativity in the market for modern art, will be published by Princeton University Press in 2018. His other work appears in the American Journal of Sociology, the American Behavioral Scientist, Poetics, and Histoire & Mesure. He received his PhD from Columbia in 2015.